This week the Joint Trade unions have submitted two briefing papers in response to the proposals relating to the establishment of a Strategic core in the General Functions Committee 11 September 2008. Clearly we want to make sure all council services are given a fair chance to compete against alternative models of service provision. This week Pricewaterhouse consultants begin work on developing options for Barnet Councils services. They will be conducting workshops with managers and compiling information, using templates as well as speaking to staff. We have just seen the timescale for this piece of work and feel that it is too tight to enable work on In house transformation to be done across all services. Directors, Senior managers will be speaking to Pricewaterhouse about what they feel are options for their services and ultimately YOUR jobs! What are they recommending about YOUR job? It is important YOU ask questions about YOUR team, YOUR service. Don’t wait until it is too late. YOU need to engage on the FUTURE of YOUR job and service. We are hoping the “Joint employer/trade union forums” can start quickly. We have identified Planning, Building Control and Parking as one of the first forums to start. BUT this should be taking place across the whole Council workforce. Please contact the branch if YOUR workplace is not engaging in these discussions. Make sure you come along to the Barnet UNISON Future Shape meetings , next meeting 11 September 12 until 1.30 pm NLBP. Barnet UNISON believes Health and Safety in the workplace is an issue for everyone. UNISON is at the forefront of major campaigns on stress, repetitive strain injury, back pain and violence. We are campaigning for a new way of working, one that guarantees every worker a safe and healthy workplace. 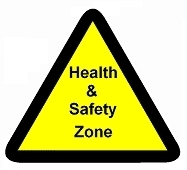 The Branch Health and Safety Officer coordinates and supports the work of workplace Health and Safety Representatives. Barnet UNISON are always looking for people who are interested in getting involved so if you want to know more email Hugh Jordan . Click here for more details on the roles ,responsibilities and training. Despite the best efforts of the branch and our regional officials, Fremantle are still refusing to make any reasonable offer to which we could put to our members. We re-launched the campaign on Thursday, 7 August 2008, starting with a one hour strike. This is the beginning of a sustained campaign which will include further strike action aimed at restoring the terms and conditions stolen from them. It is 16 months since Fremantle stole staff’s terms and conditions on 1 April 2007, and almost 2 years since the Fremantle care workers campaign began. The branch has conducted a high profile campaign (reaching a global audience thanks to the efforts of LabourStart) resulting in a successful march and rally in November and a well attended meeting in the House of Commons in December 2007. Early in 2008, Fremantle care workers had a meeting for members to discuss the future of the campaign. The message from members was clear… “We want back what was stolen!” The Fremantle Stewards Committee were mandated in the meeting to meet with Fremantle to try and reach a negotiated settlement. Unfortunately Fremantle were very clear, they were not prepared to talk about what was stolen. They believe they have already made enough concessions. (their original proposals were to reduce the hourly rate and increase the working week to 39 hours a week instead of 36 along on top of what they stole from our members last year). In effect everything they gained from Single Status was to be removed at the stroke of a pen! Firstly, and it can not be understated, the sheer loss in income our members have had to endure has proved devastating. Over the last twelve months the numbers of staff working 60 hours a week either for Fremantle or with a second and sometimes a third employer has increased. The introduction by Fremantle of a 56 hour ‘waiver’ is evidence of the scale of the problem. We are understandably concerned about the number of hours staff are working. However we do not know how widespread this practice is, which is why we have written to Fremantle, unfortunately we have not had a reply. Is it safe for staff and resident for Care Workers to work 56+ hours a week? Is it right that care staff should have to work 56 hours or more to earn a living wage in London? Radio Four’s Jon Manel recently reported on care for the elderly. The government last month launched a consultation on how to fund social care. Whatever is decided surely those who must carry out the direct provision of care to the most vulnerable must be well trained and receive a living wage. It is not politicians, commissioners, service providers (well not until they find themselves in a residential or nursing home) who pay the penalty for undermining the provision of social care it is the service users and carers. It is not just the loss in pay that accounts for why our members do not want to give up hope. It is the knowledge that if they give up their struggle they know that their pension forecast will drop permanently. Leaving them with the added worry of how they will cope when they retire. This is something Fremantle have not really understood, instead they take refuge behind mind games with our members, accusing the branch ‘of promoting its own views’. Such poor analysis of this campaign does note bode well, particularly in the context of future challenges facing Fremantle in Barnet. We know that this contract has led to a dispute with Barnet Council. Last year the claim was £8.672 million as it has not been resolved the claim must surely have gone above £10 million. Only three of the planned five new homes have been built. Whatever is going on behind closed doors, what is certain is that the contract will surely be re-negotiated. Will the new contract bring an increase in funding for Fremantle? If not, will Fremantle come back to our members for more? No wonder our members are angry and don’t want to give up. UNISON policy is quite clear, organise to resist privatisation and defend our members against attacks on their terms and conditions. Barnet UNISON stands proudly with our member working for Fremantle and will continue to do so as long as they need our help. The threat to YOUR jobs is real. Watch this documentary!